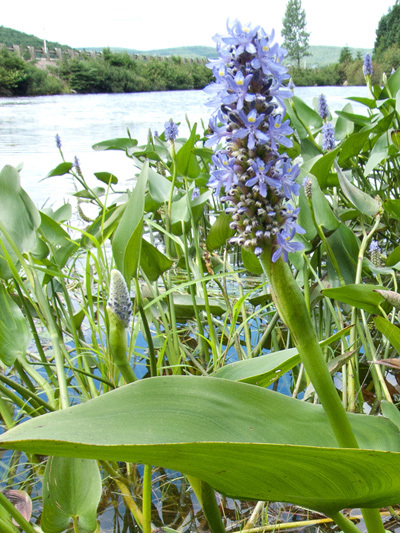 The only one of its genus in Quebec, Pickerelweed likes quiet bays in large water bodies. It is tristylous ie that flowers can have pistils (female part that extends the ovary) of three different lengths with each of the different forms with different stamens projections and pollen grains of different diameter. Usually a given individual displays flowers of only one of the three possible morphological forms.